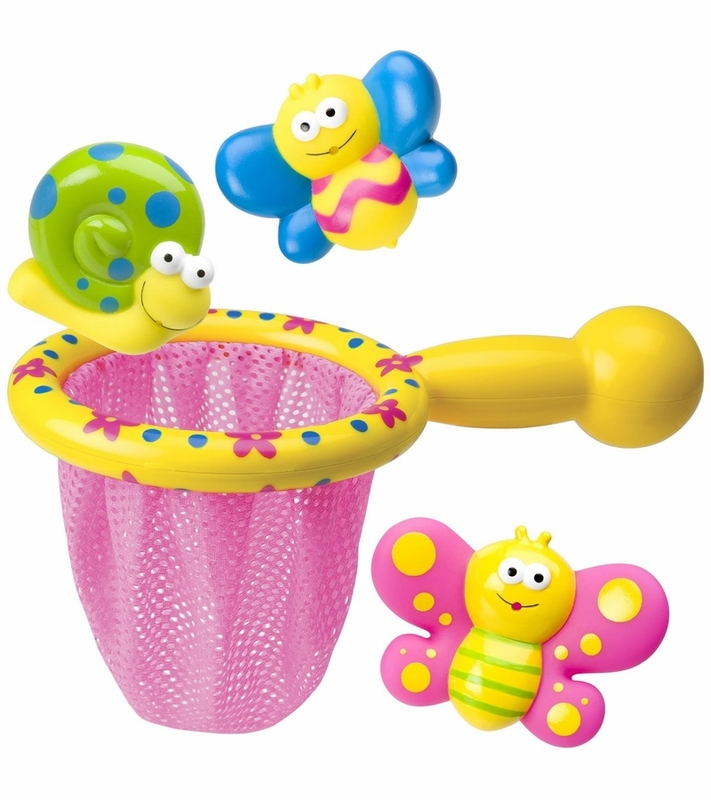 Set includes chunky floral net and 3 beautiful bug squirters. 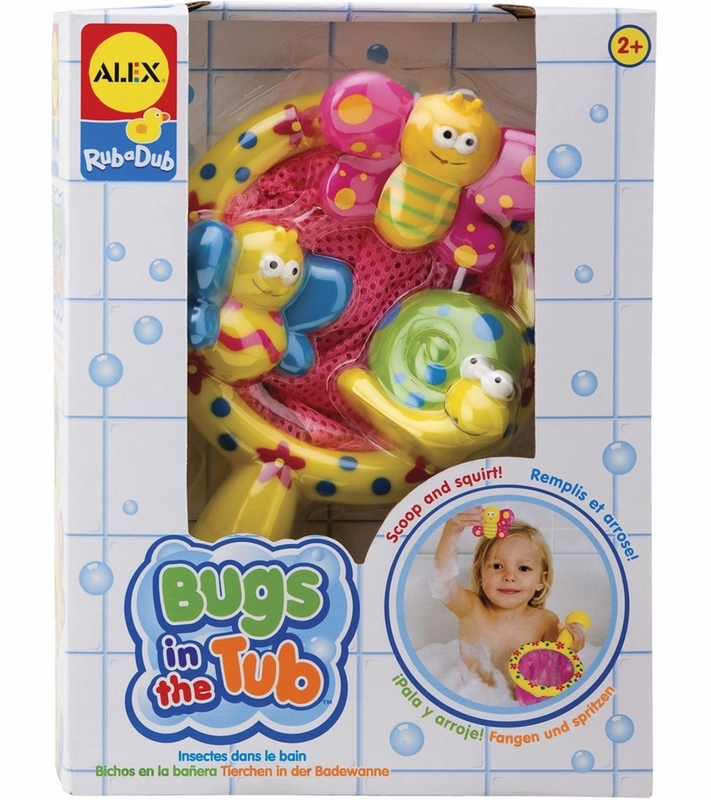 Scoop 'em up for fun in the tub. 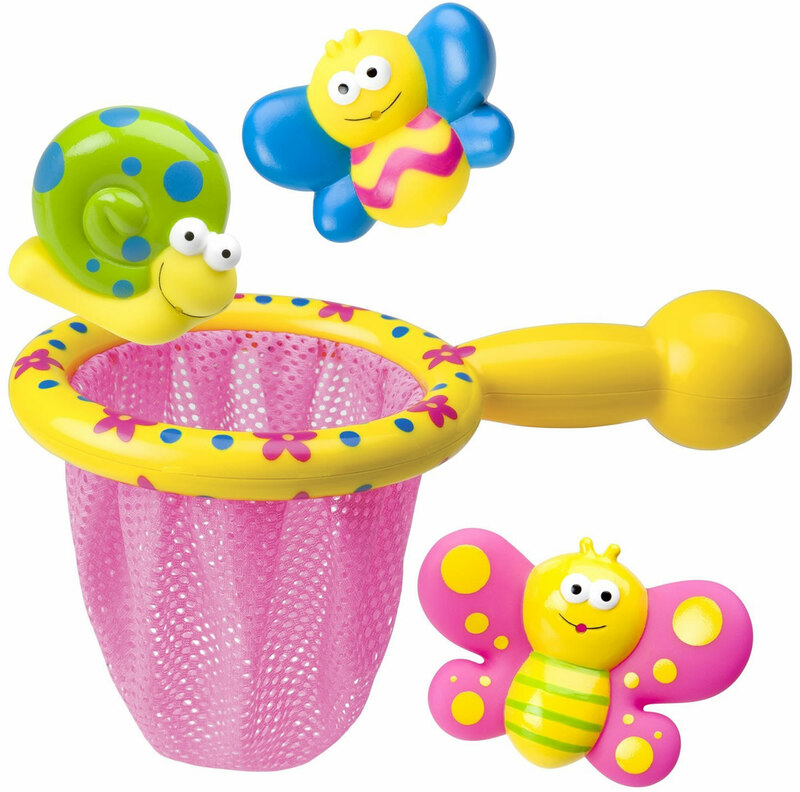 Safe for toddlers and phthalate-free. Ages 2 and up.